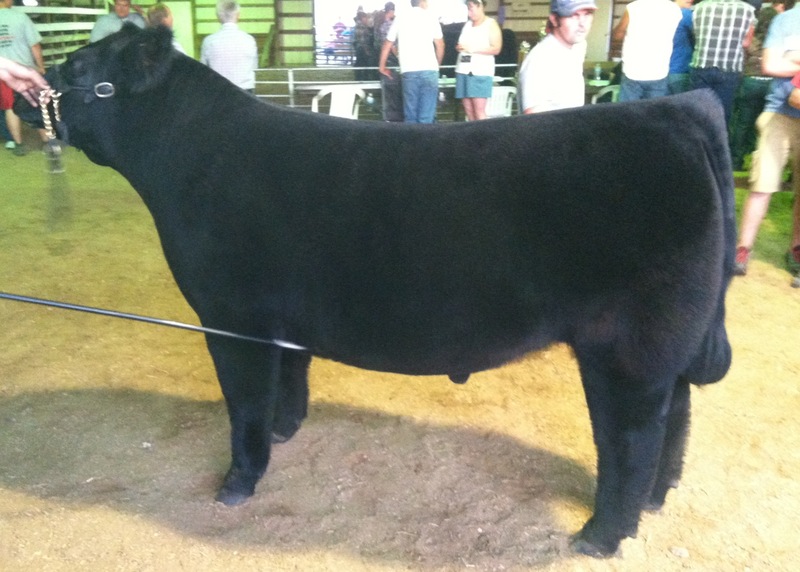 Grand Champion steer 2012 MI Thumb Jackpot show, reserve Crossbred Division 4 – MI Winter Classic, Grand Champion Steer-2012 Sanilac County Fair. Purchased from Dave Stoltz. 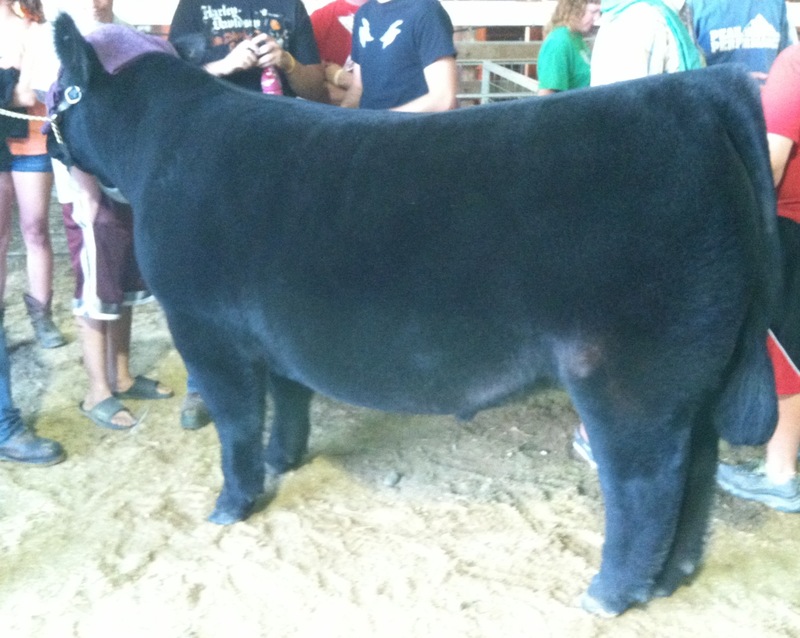 Sold by Welshans Show Cattle. Shown by Alan Leslie. 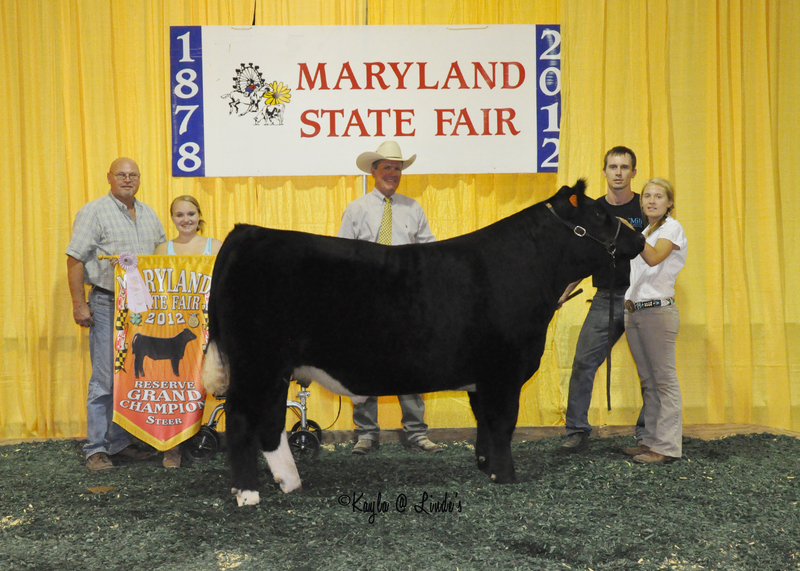 Reserve Grand Champion Steer 2012 Carroll County Fair, Reserve Grand Champion Steer 2012 Maryland State Fair. Raised by Gosch Farms and Holt Brothers Cattle. 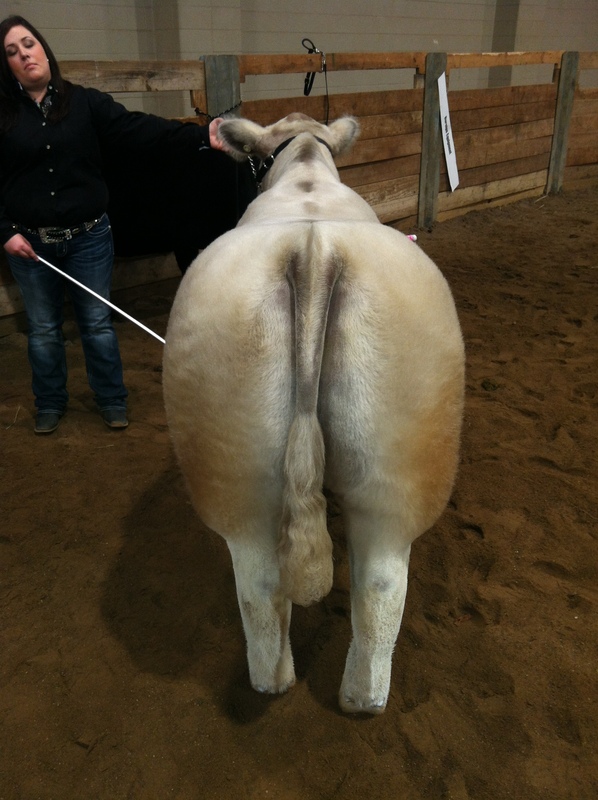 Sold by Welshans Show Cattle. Shown by Tiffany Amoss. 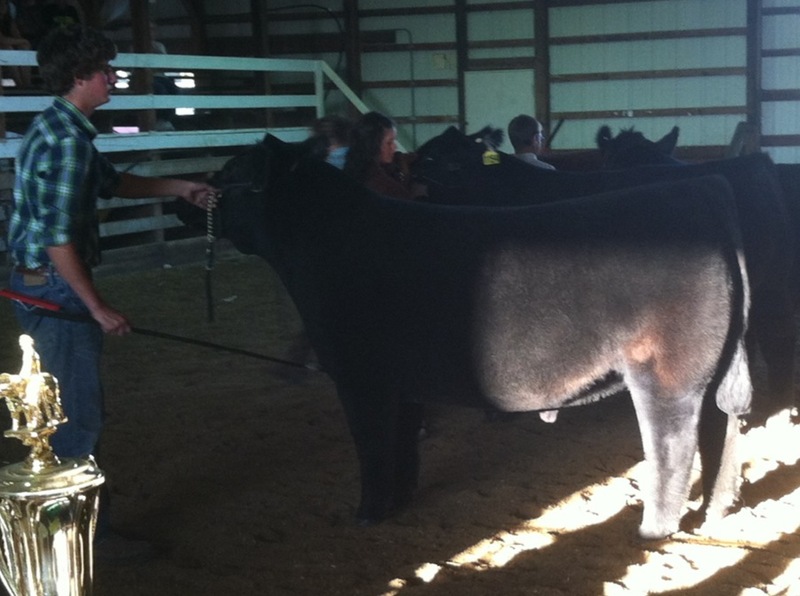 Reserve Champion Chi Steer – 2012 Michigan Beef Expo, Third Overall Chi Steer – 2012 MI Livestock Expo. 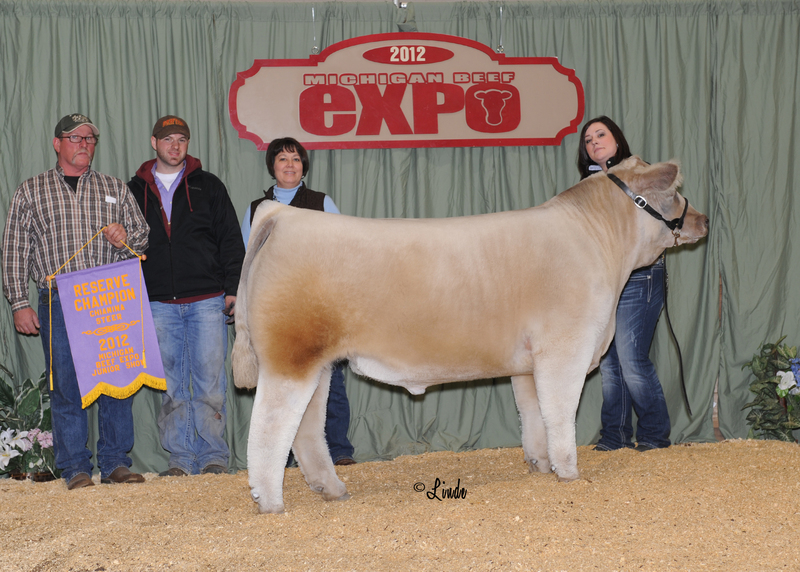 Raised by Bellar Cattle Co. Sold by Welshans Show Cattle. Shown by Kaitlyn Bonham.